I work in the EdTech field. 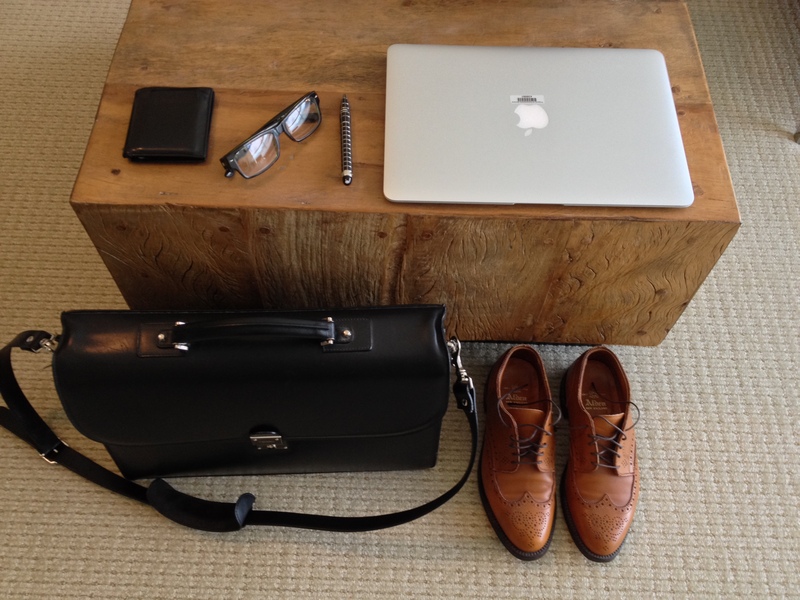 So here are some of the “tools of the trade.” I carry a double-gusset briefcase. It makes me “feel” smarter and more professional. I pack a MacBook Air, a Montblanc Starwalker pen, a Burberry compact umbrella, Ray-Ban glasses, an iPhone charger, earbuds, a dongle & clicker (that sounds awkward,) a stack of business cards, and sugar-free gum.